British airline Monarch Airlines today flew around 200 children from Birmingham to Dubrovnik as part of a promotional campaign in partnership with the Dubrovnik Tourist Board. 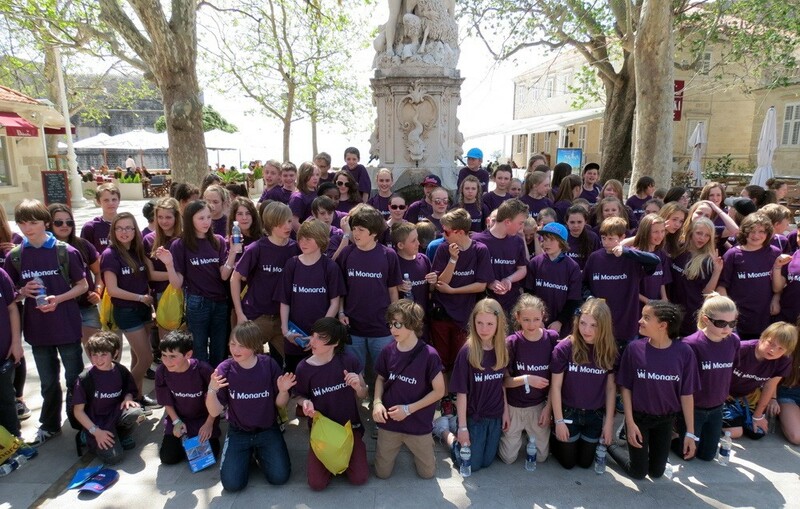 Pupils and their teachers will visit the local aquarium, eat lunch in Restaurant Klarisa, receive a guided tour around the Old Town, including the city walls as well as watching a short film on Dubrovnik at the Visia cinema. Monarch Airlines fly to Dubrovnik from Manchester, Birmingham and London during the summer season making them the third busiest airline at Dubrovnik Airport. This one day trip to Dubrovnik is sure to leave a lasting impression on the lucky school children who will hopefully visit the city again as part of a longer stay with their families in the future.